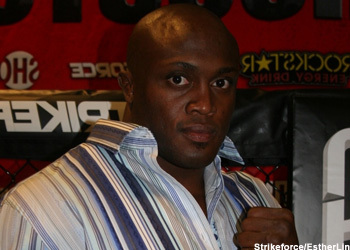 Strikeforce officials have just announced Bobby Lashley’s next opponent will be Chad Griggs. The two will collide on August 21st at “Strikeforce: Houston” inside the Toyota Center in Texas. MMAFighting.com was the first to report on Griggs’ addition to the card, as the former IFL fighter looks to knock Lashley off his perch. While Griggs owns an impressive 8-1 record, he also moonlights as a firefighter and paramedic in Arizona. Although his feats in the field are much more important than anything he can do inside the cage, a win over Lashley could put his name on the map as a mixed martial artist. Although Lashley is undefeated, his five wins haven’t been against anyone that would be considered an elite heavyweight. However, the former WWE performer has looked much improved over his last few outings. He last fought at “Strikeforce: Miami,” where it took him all of 2:06 to dispose of Wes Sims for the easy 1stRound TKO victory. “Strikeforce: Houston” will air on Showtime.